Getting dumped by text message on Saturday night is awful…. 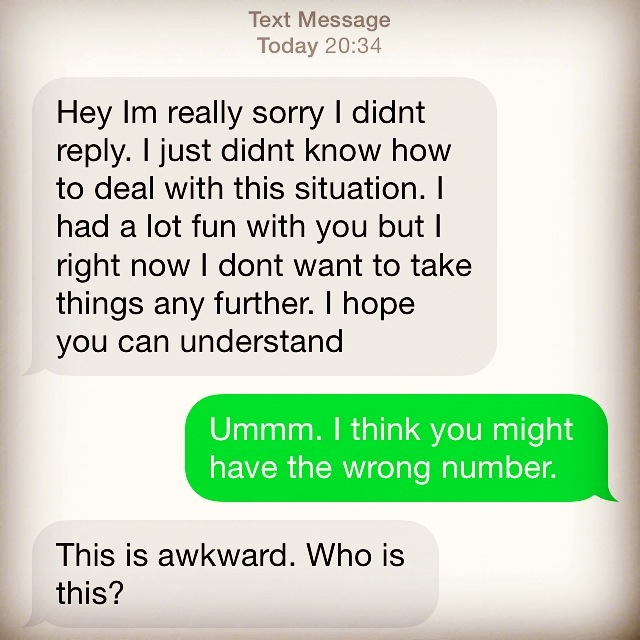 or so I can presume… for the poor person who was on the receiving end of this here text! Sitting at home on my Saturday night just taking it easy and I get DUMPED!!! Thankfully I haven’t been on any random dates lately, so I felt I was pretty safe. Also confirmed when I sent this grab to my boyfriend and he laughed hysterically … PHEW! But being dumped by text… ouch! 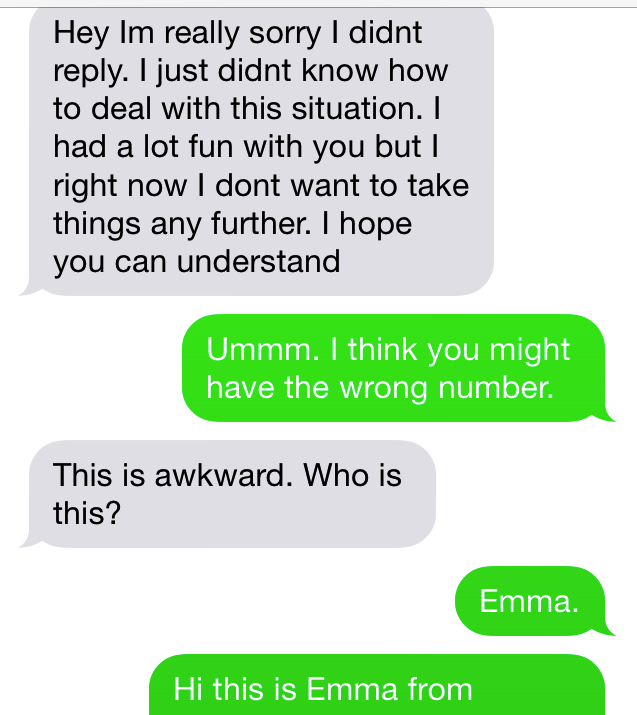 And sending it to the wrong number first… #AWKWARD! So here’s what happened. I received this text. Promptly replied to correct the error. “This is awkward” Ummm… yes! It is. “Well then how the F*&^ do you have my number.” I’ll point out, this is a girl! And clearly with a bunch of friends and drinking as I can hear them. I knew exactly how she had my number and I also knew this was about to get a whole lot more awkward. I sub-contract to a company sometimes to do calls for them for travel enquiries. People are interested in some travel and I call to answer their questions. I can call 100 people a day, and I do use my mobile. I smirked as I replied. So. This was my Saturday. I messaged her with my standard work, please call the office message and she wished me a safe trip to Vietnam. RANDOM! Ok, most awkward ever!! Never a dull moment. Check your numbers and perhaps… give someone a call and let them know… She’s just not that into you! This is the second day of my active, regular blogging… and I can’t say I leapt out of bed with excitement. In fact, I woke up to gusts and howling wind barrelling down the passageway behind my window. This was not an enticing beginning to the day. 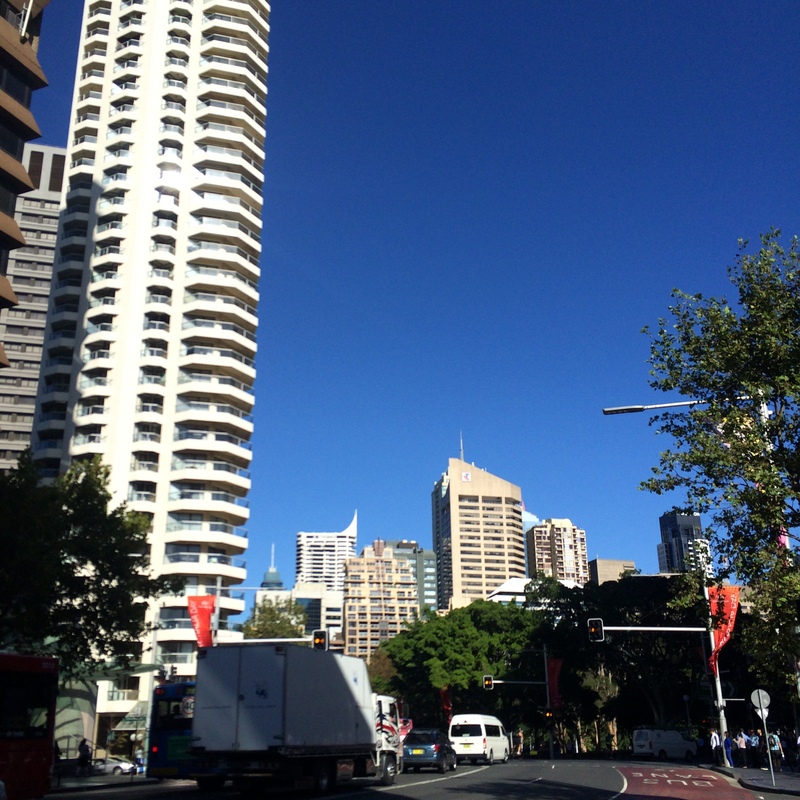 A quick weather check, 17 degrees and windy in Sydney with sunshine to come. Not enough to get me out of bed and walking 1.5hrs to the city. This decision, made under the warmth of my doona, was in hindsight a poor choice. It turned out to be quite the lovely blue sky and sunny day. However, my wind predictions were correct. Windy and cool in Sydney and not the nicest of walking weather. Today I worked in the city and had my Tour Leader briefing with Inspired Adventures. In 4 short days I will be off again, this time to Vietnam. I’ll be leading a team, with another lovely Aussie lady, of 30 Dutch women who have raised more than 170,000 Euros for Plan Netherlands. That’s more than $240,000 AUD. Super impressed by this group and can’t wait to meet them. The team is called #cycle4girls and you will be able to follow us on the Inspired Adventures Blog. We get briefed on all things communications, logistical and personal that will be important for the trip. It’s going to be a really interesting bunch and a very different itinerary to what I’m used to. Can’t say I’m super excited for the 100km day of cycling, but I am excited to ride amongst the big palms and enjoy a coconut or five! I participated in my first ever book club. 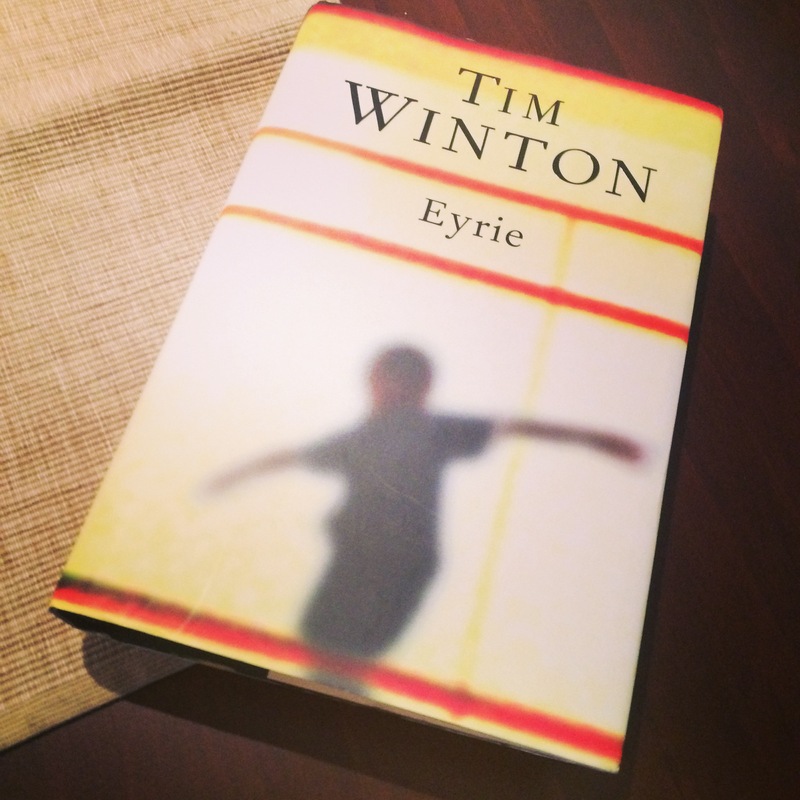 Tim Winton’s, Eyrie. Did I read it? No. Did I attempt it? Yes. Will I finish it? TBA. I am enjoying it so far. It’s just that I gave myself just 10 days to read it. 415 pages. EEK! I’m not a fast reader and I do tend to let my mind wander as I read. However, It was lovely to meet with a great group of girls and discuss some aspects of the book. So I now have 3 part read books sitting on my nightstand. Hoping some plane and bus time over the next 10 days in Vietnam will give me the chance to catch up. I went home to meet with my Dad, brother and brother’s girlfriend for dinner. My brother and I decided to play a little rough and tumble in the kitchen. He punched me, so I punched him, he punched me back, so I gave him an uppercut to the stomach, he took me in a headlock so I pinched his arm underneath in the softest fleshy part. Dad was furious… We had a ball! Love acting like a kid with my big brother, age 29, I am currently 27…. Bring back the biff! So, the format of these daily rants are going to be somewhat disjointed. They may in fact be rants. They could be a story that stood out from my day. Perhaps just ramblings of my day as seen above. 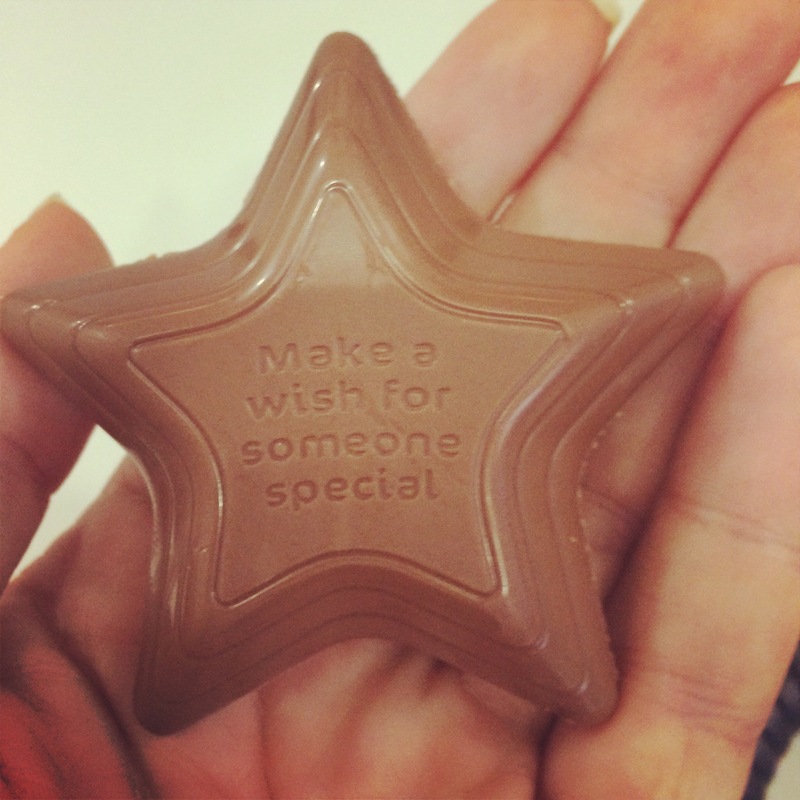 My wish in 2015… blog more! Last year I posted 93 blogs here. I’ve told a few people this statistic and they’ve said “wow! So many!” But in my eyes… This is not good enough. I thought it should be closer to 400. For all the travel I do, places I go, people I meet and experiences I share, there should be a blog every day. It’s hard to do that every day… Things always come up… But there are also so many excuses. I want to set a goal in 2015. To write more. To share more. To be more fluid with my writing. It’s a practice. The more you do it, the easier it becomes. I’ve been inspired by the magnificent Eden Riley who writes passionately from the heart & regularly. She writes with caution thrown into the wind and with a richness one simply cannot resist. I want just a taste of that when people come to browse this blog. 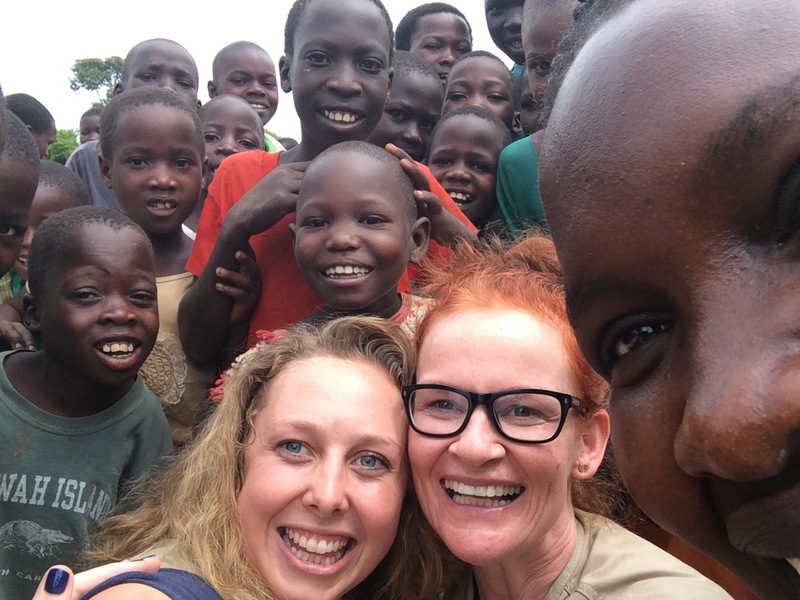 We met on the #WVAblogger ambassador trip to Uganda and her blog prowess wowed me! Less is more. So! I’m planning to stop writing epic essays to rival the likes of The Lord of the Rings trilogy. Instead opting for more of a “daily thoughts” style. Of course I will still share amazing places I go, reviews of activities and accommodation, profiles of travellers and events coming up. I will just be getting more writing practice. Please do help me with my goal by interacting with this blog. I love feedback and would love to write what you want to read as well as sharing my own crazy sagas. Here’s to a happy, healthy and word filled 2015! As I sit in the airport and wait for my flight back to Australia, I take a few moments to reflect on my TOP 10 moments of this trip. Well, it’s all been rather amazing but there have been stand outs. I think the thing I realised this afternoon as I stood by the river Thames at my Grandmother’s house, is that this country is part of me. It’s where my heritage lies, it’s where my family is and where I have so many friends. I’m blessed to be able to visit so frequently ( four separate visits in the past 12 months) and I’ll continue to take every opportunity to visit my families homeland. 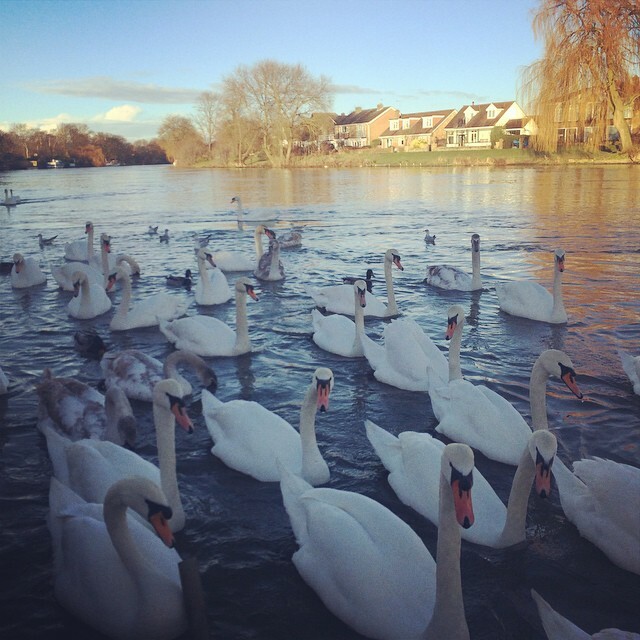 Such a spectacular sight of swans on the river Thames in Staines. I’ve loved feeding these beauties since I was 9 years old at my Grandmothers house. Simple relaxing pleasures. 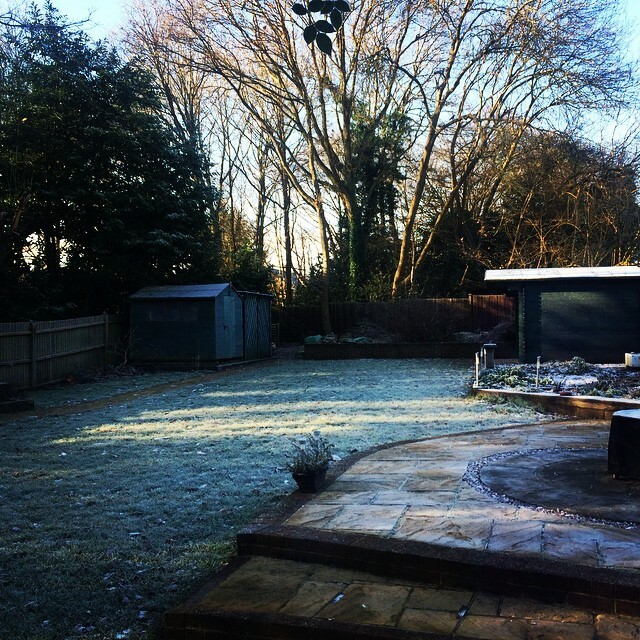 Glorious frosty morning in Surrey, England. Can’t wait to see snow in Germany/ Austria at the end of the week. 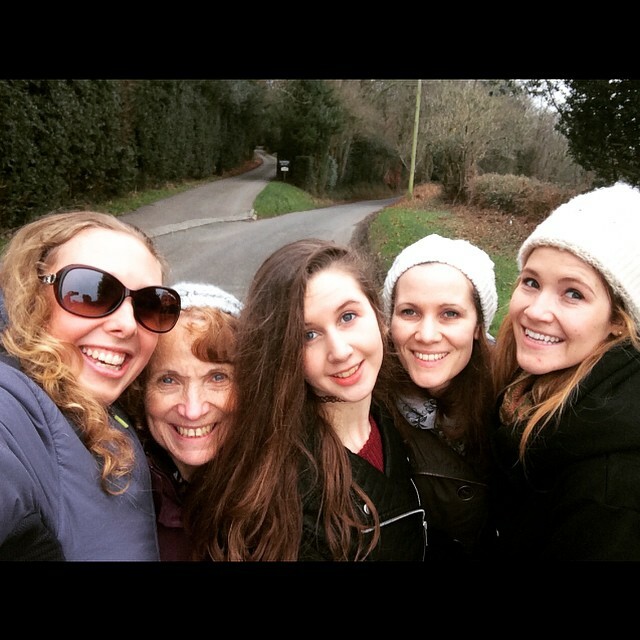 Lovely winter walk with my Marcham girls. 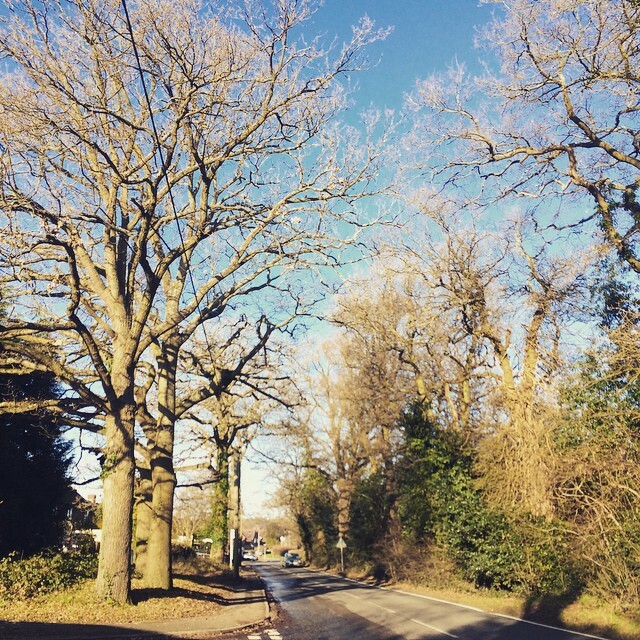 Brisk, crisp but always love our walks in the English countryside. Winter wonderland. 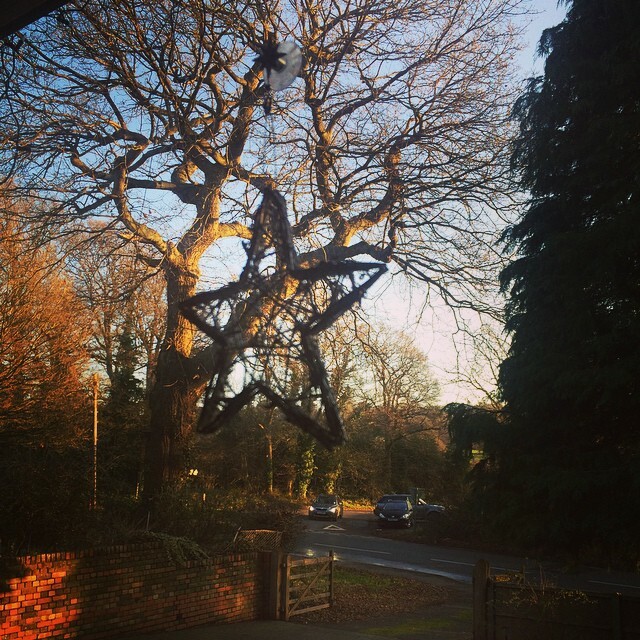 Christmas day was gorgeous here in Surrey, England. 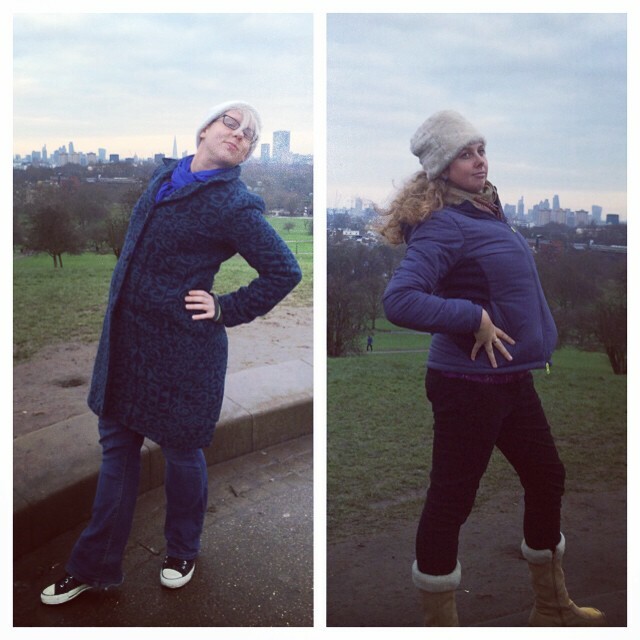 It’s Primrose Hill darling. Yes. Primrose! 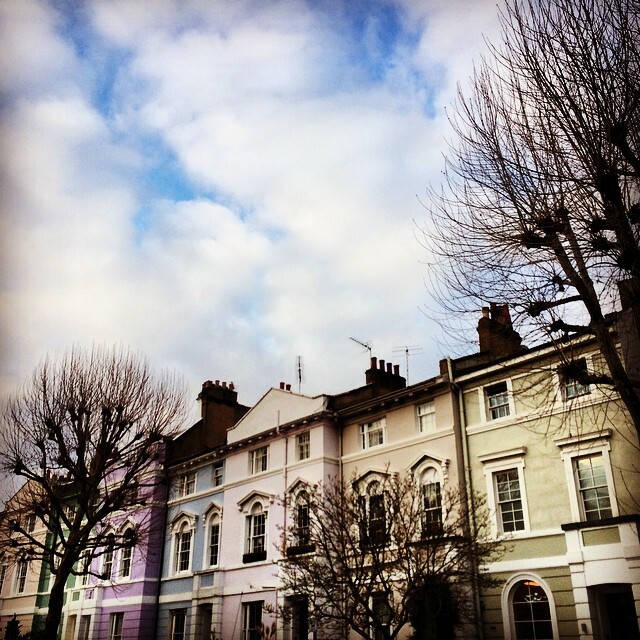 Walking around the Camden area before 2015 begins…. eek! Such a gorgeous Christmas morning. What a blessing to be here and have a day like this. 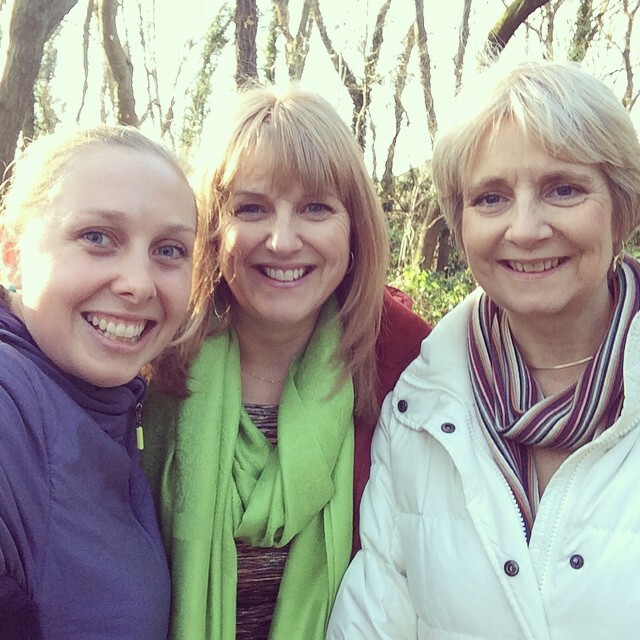 Christmas day walkies with my lovely Aunties in Oxted. Great chats and came back to the boys preparing the meal. WIN! 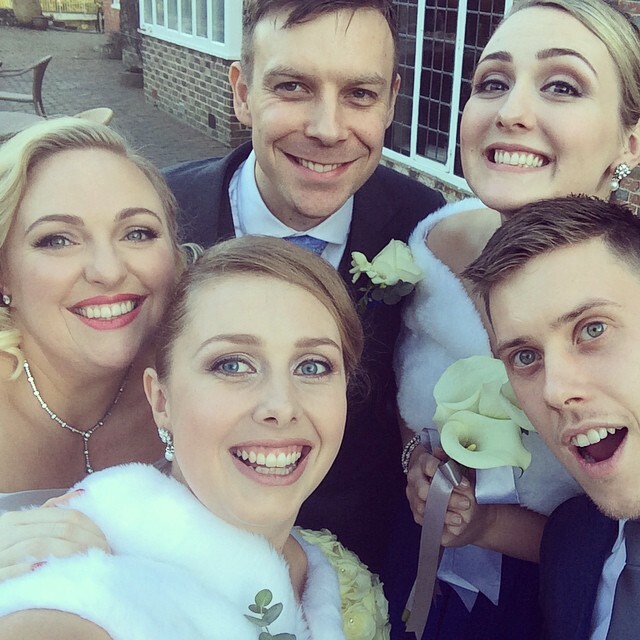 Bridal party selfies!! My beautiful friend Larni. London Winter Fashion. Pretty sure we nailed it Abigoliah. Pumped for NYE. World Vision Australia is a charity I passionately support and am proud to be a blog ambassador for. In 2015, I vow to raise $2015 for this incredible organisation. Funds raised will go towards the Hope Street Children Project to support vulnerable street kids in Tanzania with education, care and protection. I’ve visited my sponsor child in Tanzania and seen the amazing work of World Vision in Uganda recently on a blog ambassador trip. The work they do is valid, valuable and essential! Every little bit we can do from here can do great things over there! For fun, I’m suggesting donations of $20.15. If I get 100 donations of this exact amount, I’ll reach my target in no time! If you want to give more, or you can only afford less, that is also great. Every $$ counts! Photo taken on 2014 #WVAbloggers tour to Uganda with World Vision Australia. Powerful, moving, beautifully written & so important! This book is magnificent. 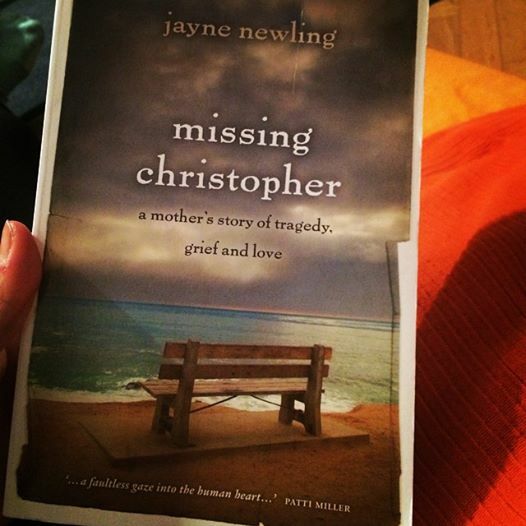 You must read “Missing Christopher” by Jayne Newling. A true masterpiece. An easy read for it’s wonderful writing, a difficult read as it’s so deeply personal & so many of the themes I know & associate with. I have just finished Missing Christopher and I have been rocked to my core. This is an incredible piece of writing that captures the heart and invites you intimately into the world of the Newling family and their pain. Jayne Newling is an exceptional writer and I can’t recommend this book more highly. Jayne has bared all in this book. It’s so raw and real. I was crying from just a page in and felt the sting in my throat so many times as I choked back tears. Who am I to cry as I read this story when this woman and her family have been through so much. She details so well the characteristics of the people around them, the feeling of the places they lived, the emotions she endured and the suffering they felt. You are with her on every step of the journey and flipping each page to see how she could carry on. It’s an incredibly detailed trip into the world of grief and pain. I admire her courage and strength to write this and share it with the world. I thank her for being so open and know that her words will help others. I really enjoyed the quotes dotted throughout the book and the way she shares the inspirations that once encouraged her son. The story sometimes jumps around and I like how it replicates the mind in this troubled stage and you can follow her thoughts at these challenging times. You really are taken into the world of depression, suffering, pain, grief and struggle. I felt exhausted but also educated by this book. For anyone who knows someone or themselves is suffering with mood disorders, I recommend this book. I have now passed it on to a 17 year old friend with clinical depression and I know the words will be of great solace to him. To my friend Nic, the youngest son of Jayne Newling, wow, your journey is amazing & I’m thankful to know you and your goodness! I met Nic on the Trek to Machu Picchu with Black Dog Institute in 2012. Nic had incredible insight into mood disorders and worked for Bite Back with Black Dog Institute. I saw his amazing intuition and kind heart as he supported others on our trip through some tough times. His wisdom and fun loving spirit made him the perfect companion for the good times and the bad. I knew some of his story but nothing like what I read in Missing Christopher. I knew he was a wonderful person and I knew he’d been on a journey but not to such a great extent! I have such a great respect for him and a deep sorrow for the pain the family has endured. No-one should have to go through that. I know that Nic will succeed in his new path of speaking as he shares his story and Christopher’s to so many around Australia. The afterword in this book is written by Professor Gordon Parker AO, founder of the #BlackDogInstitute. His help with the family at the most critical times and the continued support over the years is amazing. His insight and knowledge of mood disorders is above and beyond and I think his work in instigating an organistion such as Black Dog Institute is exemplary. I have had my own battles with depression. I was diagnosed with Post Traumatic Stress in April 2005. By July 2005, I had slipped into a deep depression and was diagnosed with clinical depression. Despite having loving family and friends, a caring and dedicated doctor, a wonderful school counsellor, supportive school teachers and staff and an appointed psychologist, my mind took over and depression consumed me. I was on anti-depressants and had regular counsellor, doctor and psychologist appointments. I understand the darkness and the depths that depression can take you. For me, it was circumstantial and the family history of it may have been the tipping point. Ultimately, it was the support, the love and the will in me to get through that saw me clear. The Black Dog of depression has re-visited me twice but funnily enough I am thankful for hitting my lowest low in 2005 as I now recognise the signs early enough to seek help. We are all unique individuals and will all travel a different path. I cannot say that my depression was anything like what Christopher experienced. We come from different situations, different triggers and who knows what could, would have been. But I do understand that mental health is important, that mood disorders should be understood by the wider community and that people who are suffering should be treated with kindness, respect, love and care. I feel passionately about the issue of suicide and mood disorders and value the work of Black Dog Institute. I’m happy to share my story, just as Jayne has shared their story and the pain she endured, so that others may not suffer in the same way. In October 2015, I will travel to Bhutan to Trek for Happiness! I will be personally raising $3500 for the work of Black Dog Institute. I wish to support those living with mood disorders and to break the stigma that surrounds mental health. 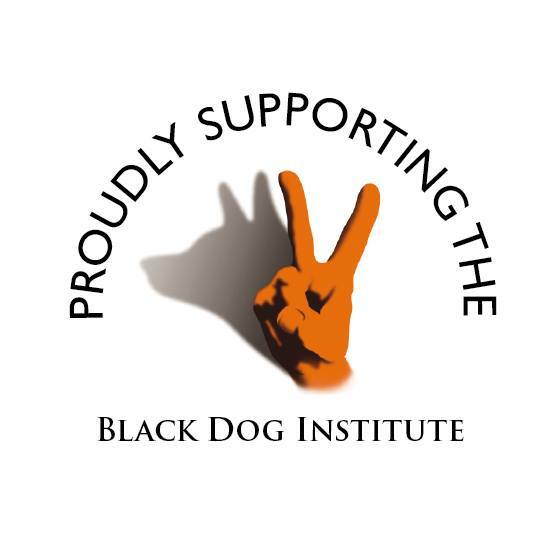 Each year, Black Dog Institute aims to advance the understanding, diagnosis and management of depression and Bipolar Disorder and improve the lives of those affected by these mood disorders. Please help me in my cause by donating through my page. Yes… I do realise that more than a third of January is now gone but I am still keen to take part in World Vision’s 30for30 Fitness Challenge this month. My personal fitness goal is to do something active every day for the month of January, despite the fact that I am travelling, I will keep moving my body! Loving my role as #WVABloggers blogger for World Vision Australia and all the amazing campaigns they are running. Every year, almost three million children die within the first thirty days of life. It’s a shocking statistic. And worse still, most of these deaths are preventable. Too many families in developing countries simply lack access to basic healthcare, education, treatment and nutrition that can protect against illness and save babies’ lives. Together we can help change that! Join World Vision Australia’s 30for30 Fitness Challenge and dedicate the first 30 days of 2015 to making sure the first 30 days of a child’s life aren’t their last. Just choose a personal fitness challenge, get your friends and family to sponsor you – or sign up themselves, if they also want to make a difference – and raise money to help stop millions of unnecessary infant deaths. 1. Set yourself a personal fitness challenge and fundraising goal to be completed in the first 30 days of 2015. 2. Create and share your online fundraising page with your friends and family. 3. Complete your challenge and help change lives. We’ll be with you at every step of the way providing useful fundraising resources, support and updates on how other Australians are taking part too. What can my fundraising do? Funds you raise could help provide mothers and babies with access to clean, safe deliveries, breastfeeding support and vitamin supplements that help boost babies’ immune systems and prevent malnutrition, and vaccinations. $250 could provide 211 women with access to essential maternal, newborn and child health services. $500 could provide 147 toddlers with vitamin supplements to boost nutrition and protect against illness for a year. $1000 could provide access to vaccinations for 570 children under two and healthcare for 410 pregnant women through bimonthly outreach sessions in remote areas. 1 January – London to Munich – 1 hour walk around the gardens of Schloss Nymphenberg. 2 January – Munich – Walk around the city of Munich with my friend in the snow. 3 January – Sudelfeld, Germany – Snowboarding! 4 January – Sudelfeld, Germany – Snowboarding! 5 January – Landshut, Germany – Walking around this historic city. 7 January – Vienna, Austria – Walking in the snow to and from friends houses with Rocco, the dog. 8 January – Vienna, Austria – Walking to the station and around the city in Vienna. Also 1.5 hours walking 4km at SchonBrunn Palace. 10 January – 2 x T25 DVD workouts. Total Body Circuit and Speed 1.0. Each 25 minutes. Followed by 1.5 hour walk, 4.2km at Karlenberg in the hills around Vienna. So it’s been an interesting and dynamic start to my year of exercise, I plan to continue my month with walks and excercise DVD’s regularly. The only thing I will have to add dramatically, is my cycling!! Off an another Inspired Adventure cycling in Vietnam and then #Everestbasecamptrek2015 in Nepal with World Vision Australia! Fitness is an important aspect of my life and World Vision is a wonderful cause to get fit for. It’s time for me to take on another challenge! This time for a cause so close to my heart, Black Dog Institute – raising awareness about mental health.From the 8th-19th October, 2015, I’ll be embarking on the Black Dog Trek to Happiness through Inspired Adventures to raise funds for Black Dog Institute. In 2005 I suffered from Post Traumatic Stress Disorder (PTSD) which soon led to depression. It’s hard to think back and image how low, dark and sad my days were. It’s like slipping into a black hole and not knowing any way out. I was so fortunate at the time to have the love and support of my family, access to quality health care professionals through my school and a wonderful local GP who understood mental health. The Black Dog has come back to sit with me a few other times but after gaining skills and knowledge on how to manage my depression, I know that for the future, I will be ok and I can take this path to happiness. It’s not like this for everyone. Some people don’t understand what mental health is and when they are in that black hole, don’t see the help they can receive to find a way out of the darkness. The wonderful work of Black Dog Isntitute is helping those in need and educating our community on mental health. With their support, individuals and families can learn how to cope and live with mental health. 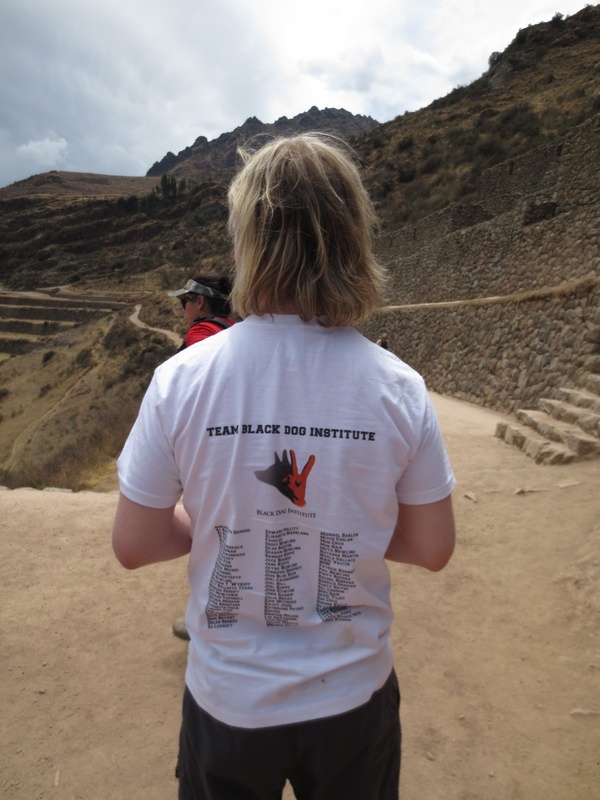 I trekked to Machu Picchu with Black Dog Institute in 2012 with an amazing team raising more than $60,000. I met a fantastic guy on that trip, Rory Hayward who was passionate about mental health and the work of Black Dog Institute. In January 2013, Rory sadly passed away from a heart condition. In signing up for this trip, I used the motto his friends have formed “What Would Rory Do? (WWRD)”. I tribute this Trek to Happiness and my fundraising efforts to the memory of Rory.Each year, Black Dog Institute aims to advance the understanding, diagnosis and management of depression and Bipolar Disorder and improve the lives of those affected by these mood disorders. Please help me in my cause by donating through my page. Thanks so much for your support of this wonderful organisation and yet another of my CRAZY adventures! Awesome World Vision staff member and blogger Matt Darvas shared some of my recent experiences in Uganda with World Vision Australia and #WVAbloggers. Here is an excerpt and the link to Matt’s great blog. Social media doesn’t have to be a ‘time-waster’. 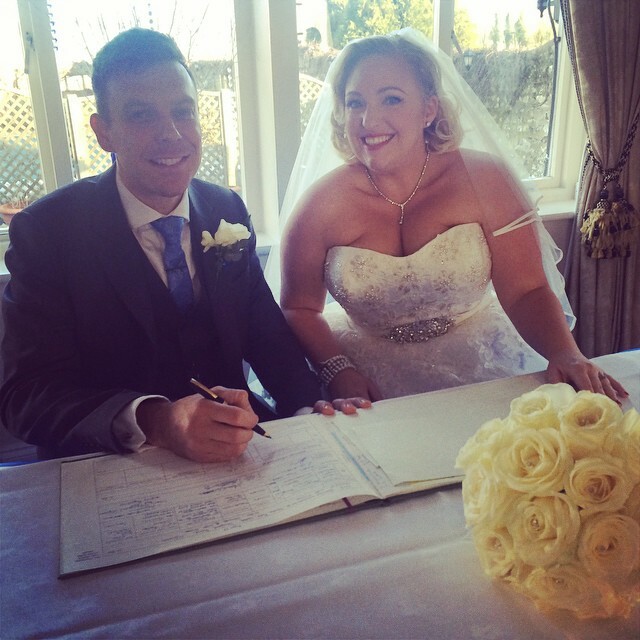 I’ve watched this week’s guest blogger Emma Lovell use it to do incredible good in this world. 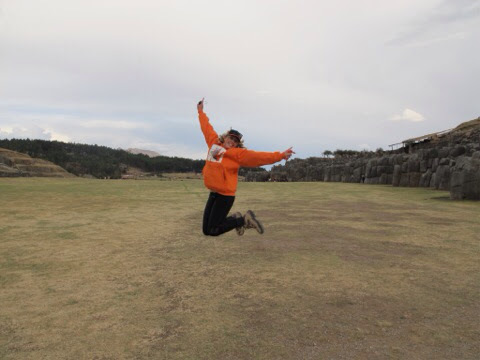 Em just got back from World Vision Australia‘s Blog Ambassador trip to‪#‎Uganda‬, so I asked her to share of all things, her ‘Top 10 Moments from‪#‎Instagram‬‘.